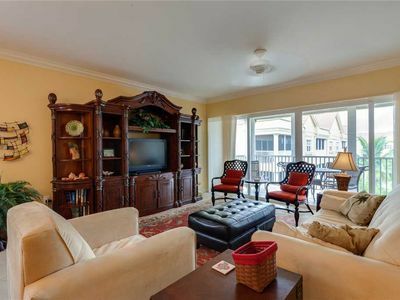 This condo is brightly decorated and has a newly-remodeled kitchen and baths. 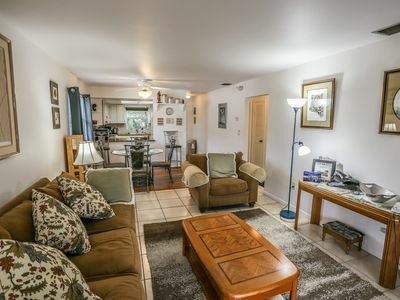 The kitchen, with granite countertops, new cabinetry, and a tile floor, is well-equipped with everything needed to make this your home-away-from-home island retreat. 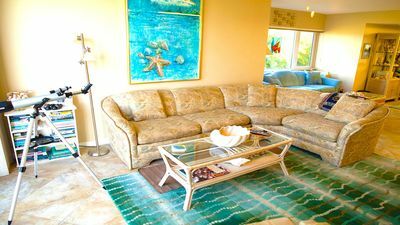 The cheerful living room has a 32-inch HD flat screen remote TV with DVD and VCR player. 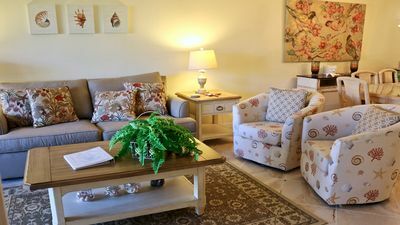 It also has a fun and colorful decor, with a matching loveseat and (brand new) sleep sofa, and two leather Ekornes "Stressless" recliners for your relaxing pleasure! 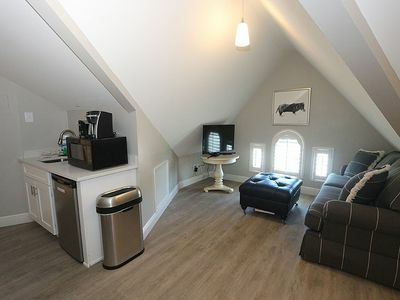 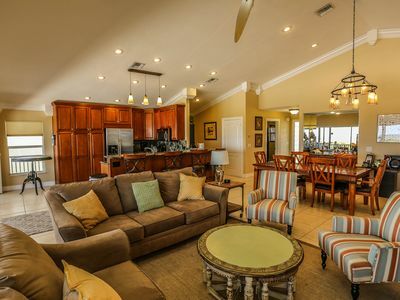 The master bedroom has a comfortable king-size bed, a 26-inch remote HD flat screen TV, and a private bathroom with double sinks and a walk-in glass shower. 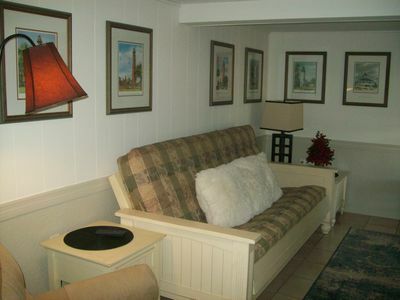 The guest bedroom has both a double and twin bed. 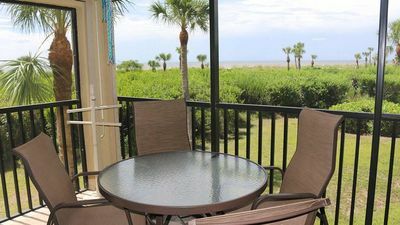 The condo association provides wireless internet service. 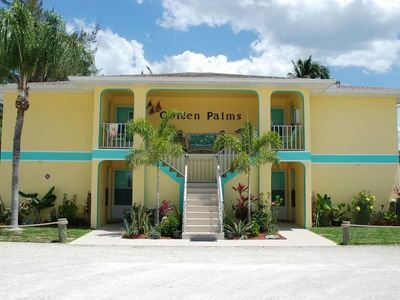 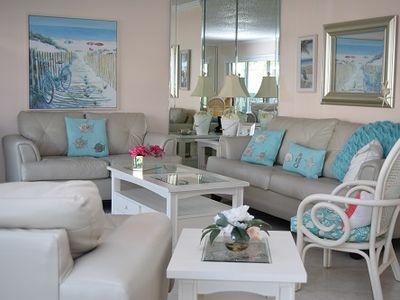 The owners provide a hairdryer, beach towels and chairs, as well as a beach umbrella for your convenience. 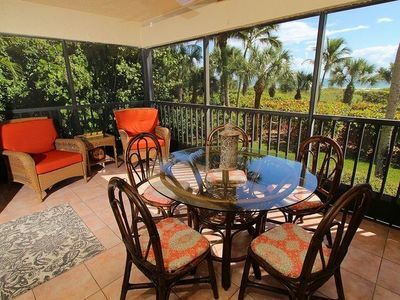 15 % OFF OCEANVIEW #3 ESTERO,2BED ,NEW & MODERN DESIGN,PRIVATE TERRACE,POOL! 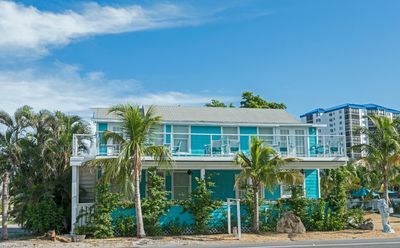 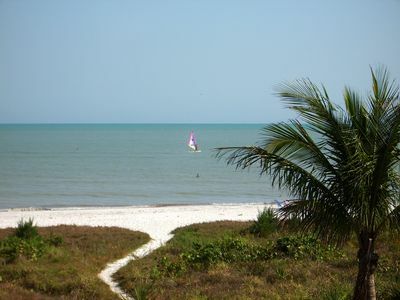 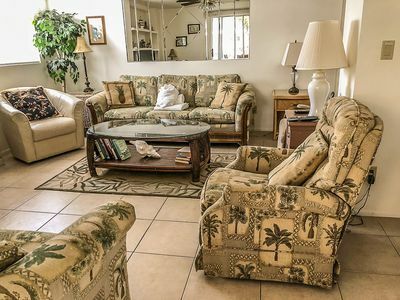 Your tropical retreat awaits you at 182 Anchorage Villa A on Fort Myers Beach. 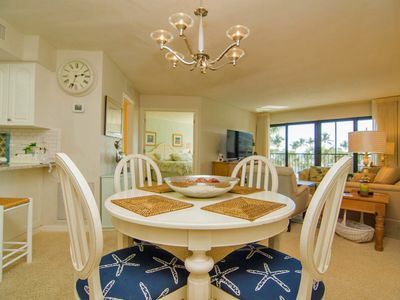 35% Special For Sept and Oct - Need a bright and spacious beachside ground floor condo for your family? 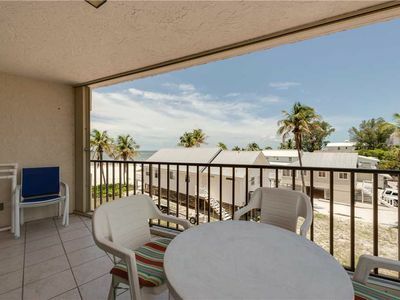 Sea Horse 3 has all the amenities of home and more! 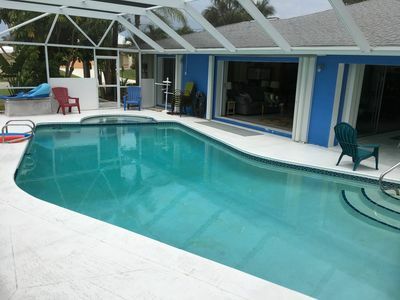 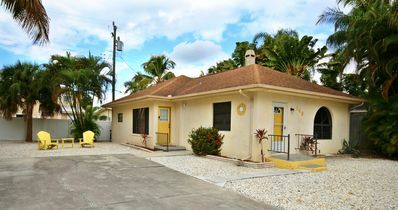 Gorgeous 2BR/2Bath Pool house on Pine Island! 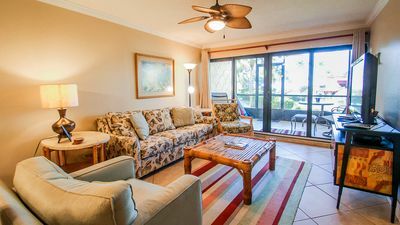 Home Style Studio Accommodation with Queen Bed, Just a Short Walk to the Beach!